Jurassic Park! Alan Partridge is coming back to our screens. 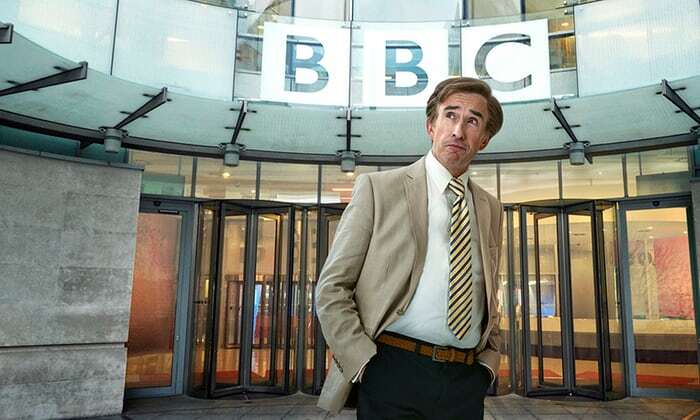 Steve Coogan and co have returned to create new BBC series This Time With Alan Partridge, a One Show spoof ‘career lifeline’ that will be ‘a heady mix of consumer affairs, current affairs, viewer interaction, highbrow interview and lightweight froth’. While a release date hasn’t been set, it is expected to air in spring 2018. The world has coalesced into a situation that is sympathetic to Alan, which for me is quite depressing. Sometimes I agree with Alan, but on Brexit I’m a remainer, and I feel quite conflicted about it. But the fact is having a fool praise something is a far more powerful indictment than just criticising it. Alan can be like the boy who says the emperor’s wearing no clothes. Coogan’s middle England comedy creation has been his most recognisable since his beginnings in the industry in the 1980s. Alan Partridge, probably Norwich’s most famous son, first appeared on Chris Morris’ 1991 Radio 4 comedy On The Hour which was adapted in 1994 into the The Day Today for BBC 2. This led to Alan getting his own talk show Knowing Me, Knowing You with Alan Partridge and later the sitcom in the BAFTA-winning I’m Alan Partridge that looked at his life after his period at the BBC. Alan also appeared on Morris’ Brass Eye on Channel 4, and has been working on local fictional radio station North Norfolk Digital for the series Mid Morning Matters, which started life on YouTube before being picked up by Sky 1. I have the very first sweater I bought for Alan from Lillywhites in 1991. It’s a Lyle & Scott V-neck golfing sweater [pictured] and I keep it in a Ziploc bag in my house. It cost £50 and I paid for that out of my own pocket – I never claimed back the tax on it. I get it out sometimes and stare at, and think about how that investment worked. Alan is part of my DNA. But I edit my DNA and take out all the bits that are rational and are diplomatic. So, there’s a side of him in me. 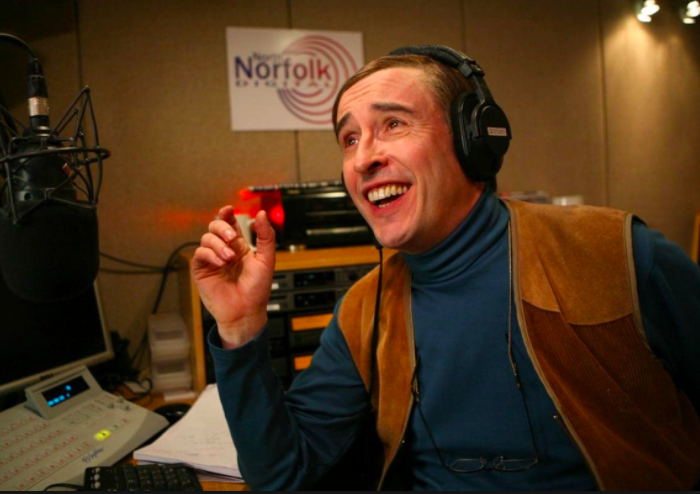 In fact, sometimes in the past, people have tried to use it as a stick to hit me with and said, ‘Ha, ha, look at Steve Coogan, he’s really like Alan Partridge.’ To which my response is always, ‘Yes, I know.’ Why is that terrible? Of course I am. Alan was an albatross around my neck until about eight years ago, when I started doing stuff like The Trip and Philomena. When I got an Oscar nomination for Philomena, I thought, ‘Well, I’ve definitely drawn a line under something.’ So, counterintuitively, I didn’t want to do Alan because I had to do Alan; I wanted to do Alan because I wanted to do Alan.